A staple in my skincare routine is an exfoliant. It works wonders to remove dead skin cells, increase new cell turnover, and combat dull and textured skin. Two to three times a week, I use a scrub that has a coarse consistency, such as a coffee scrub or a pink Himalayan salt scrub. 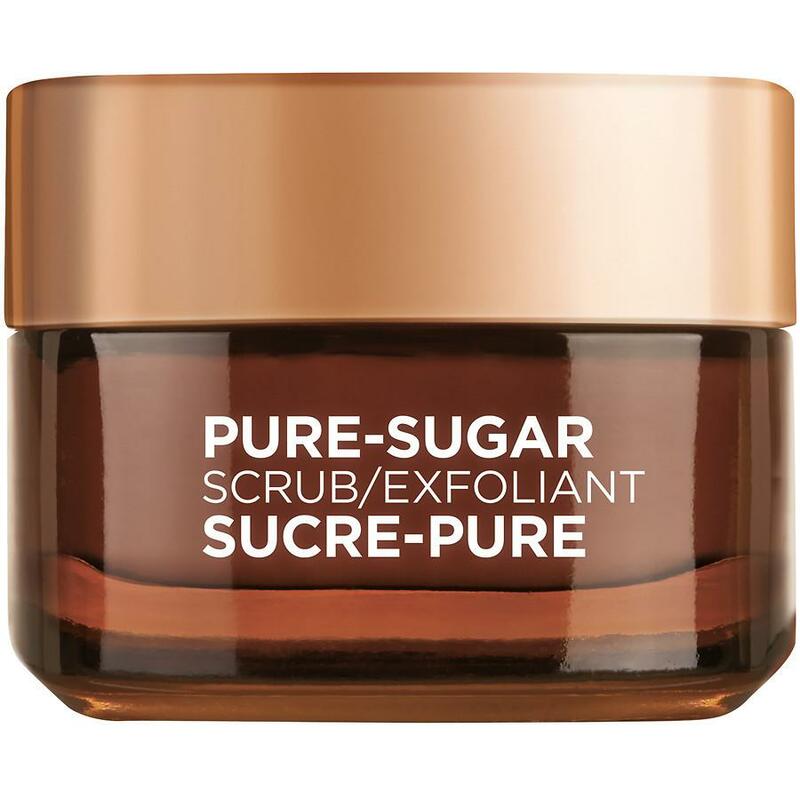 However, my day-to-day scrub of choice is the L’Oréal Paris Nourish & Soften Pure-Sugar Scrub. It smells delicious and can be used on both face and lips. Y'all know I love a double whammy! I received this product via Influenster and I have generally received other products that I have grown to love from Influenster’s Vox Boxes, I decided to try this one out. Now for my in-depth review + how I use this product: The texture of the scrub is very smooth. Think buttercream frosting with sugar crystals sprinkled in, that melts down as you massage it into your skin. It does not feel heavy at all. Something that I wish was different about the scrub is that most of the ingredients are not natural. Utilizing natural skincare remedies is very important to me; however, I as long as there are not chemicals that hurt my skin in the product, I am comfortable trying it out. If you are looking to try a scrub with natural ingredients, try one part coconut oil and two parts white sugar. I start with a clean dry face and massage the product into my skin in a circular motion. Using this application method while applying skincare products helps promote healthy blood flow. After working my way from my cheeks to my chin, nose, forehead, and lips, I rinse it off with warm water and continue with my normal skincare routine. Though I wash my face twice a day, I only recommend using once a day and preferably right before bed so that my skin has a chance to replenish the dead cells I just scrubbed away, while I sleep. It has a sweet, but not over barring scent that fades away as you rinse it off. Like any other face scrub that has oil as the main ingredient, it leaves your face with a slight shine. To rid my face of the excess oils, I tone with Thayer’s Witch Hazel. Overall, I give this product a 4/5 stars.